The Casino is an iconic site in the town of Constanța, Romania. The building was erected during the casino fever that spread throughout Europe at beginning of the 20th century and opened its doors in 1910. Daniel Renard, the Swiss Romanian architect who designed the building, opted for a lavish expression of Art Nouveau to reflect Romania’s modernisation during the reign of Carol I. The building has become a landmark of the Black Sea shore. Seen from the promenade, the Casino rises on a rocky promontory and looks more like a building belonging to the sea, rather than to the city. This impression is emphasised by decorative elements inspired by the sea. The site is comprised of three built elements: the foundations, with the plateau of the Casino; the Casino building; and the Aquarium Hall, also designed by Daniel Renard at a later date. A fourth defining element is the promenade cutting across the ensemble of the Casino and Aquarium, linking the commercial harbour to the tourist port, accompanied by a green belt. The actual Casino building has three levels. Its large, richly decorated interiors hark back to a glamorous time and is comprised of an entrance hall, event halls, open terraces and technical spaces. The main danger to the Casino comes from the corrosion and rusting of structural metal parts, especially if exposed. The wooden elements are also heavily affected by salty moisture. Mould, dampness and freezing temperatures accelerate the degradation on all structural elements, from plaster to valuable decoration. Sea storms and winds have shattered most of the windows facing the sea, allowing rain, snow, birds and animals to enter. It is very likely that the roof will collapse if this process continues. Following many years of alternating commercial and state held responsibility for the building’s care, during the 2000s, the building was abandoned and it remains so to this day due to local authorities’ inability to find funding and to launch a rescue and restore operation. The situation has been prolonged by the failure to run a successful tendering procedure, which has been attempted repeatedly. There have been several transfers of administrative rights from the Municipality of Constanța, the last of these being to the National Investments Agency within the Ministry of Development. This state of administrative uncertainty has delayed a proper restoration programme. Over the years, the building has undergone three major restoration campaigns that have not been of sufficient quality and pose an additional challenge to the restoration. The nominator of the site, the ARCHÉ Association along with its campaign partners have suggested that restoring and then reopening the site as a cultural landmark will secure its role as a symbol of the local identity and thus secure its future. The inclusion of the Constanta Casino on the shortlist of the 7 Most Endangered 2018 programme last January has sparkled a strong response in the local community. It has generated action from the Municipality of Constanta, which launched an online survey regarding the restoration of the building with which it aims to find out people’s opinion on how the process should be carried out and what functionalities they envision for the historic building. This is an important point in the campaign started by ARCHÉ Association and its partners, whereby local and national stakeholders are now taking the first steps to halting the decay of the Casino. 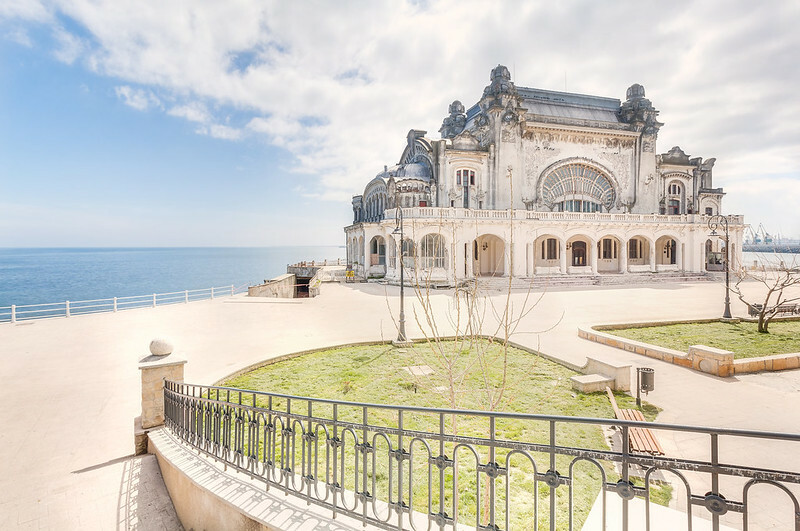 In the following period a consortium, comprised of The Constanța City Hall and the ARCHÉ Association, will set in motion the necessary procedures for the emergency conservation works.